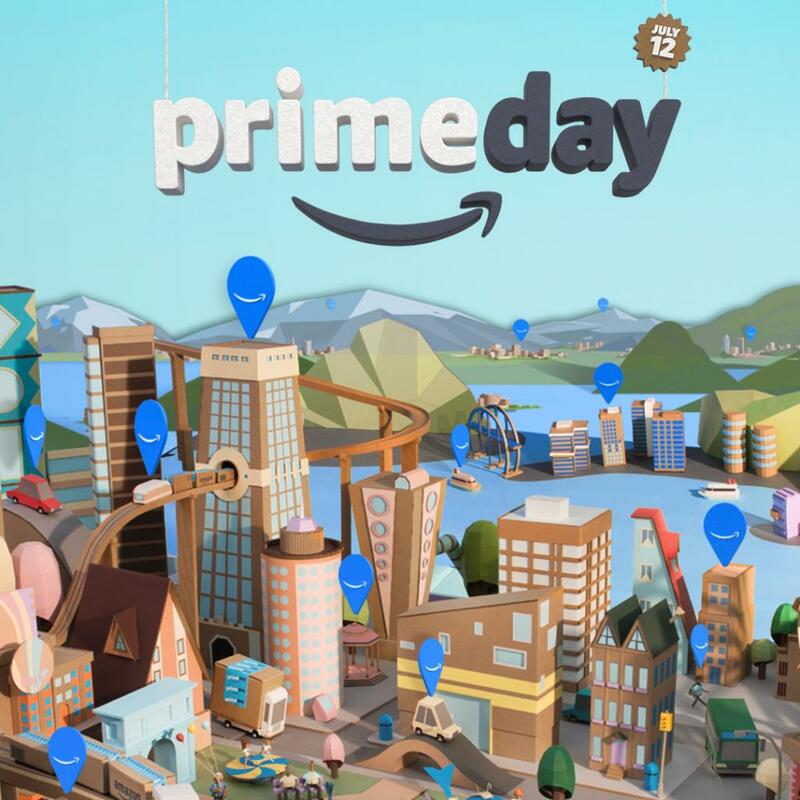 On Tuesday, July 12, the second-annual Prime Day will feature more than 100,000 deals worldwide exclusively for Prime members, making it the biggest Amazon event ever. New and existing members in Canada, U.S., U.K., Spain, Japan, Italy, Germany, France, Belgium, and Austria, will find deals across nearly all departments and categories, ensuring there will be something for everyone. Members in Canada can shop starting at midnight PT, with new deals as often as every hour throughout the day. To find out more and also how you can participate in Prime Day, visit www.amazon.ca/primeday. In addition to blockbuster deals on Prime Day, July 12, Amazon will offer countdown deals for Prime members every day from July 5 through July 11. That means members in Canada will find summer entertainment deals on Amazon.ca starting Tuesday, July 5, including select Hasbro toys and games. Countdown deals will include gadgets on-the-go, products perfect for summer travel, foodies and outdoor living, as well as back-to-school and in-home essentials. Customers can visit www.amazon.ca/primeday to learn more. Deals are Everywhere – Members can shop deals on all devices, across nearly all categories, in all Prime countries. Lots of Laptops – The deal inventory of laptops in Canada will be more than 3x Black Friday and Cyber Monday combined. Sort by Category – Newly-enhanced deal shopping is designed to help customers swiftly sort deals by category. More Sellers – Twice as many small business sellers around the world are participating in Prime Day this year. Tens of millions of Prime members around the world enjoy the many benefits of Prime. In Canada that includes unlimited Free Two-Day Shipping on millions of items, discounted One-Day Shipping for as low as $3.99 per item, Same-Day Delivery in Toronto and Vancouver for a flat fee of $6.99 per order, 30-minute early access to select Lightning Deals, and unlimited photo storage with Prime Photos. For more information, visit www.amazon.ca/primeday. Hey Buddy!, I found this information for you: "2nd Annual Amazon Canada Prime Day #PrimeDay". Here is the website link: http://shesinfluential.com/2016/07/02/2nd-annual-amazon-canada-prime-day-primeday/. Thank you.